We’re all smiles as we finish our last agricultural show of the year at the Royal Melbourne Show with the Woolworths Kitchen. We’ve won Gold for Best Sponsor Activation and Gold for Best Overall Stand for three years in a row! 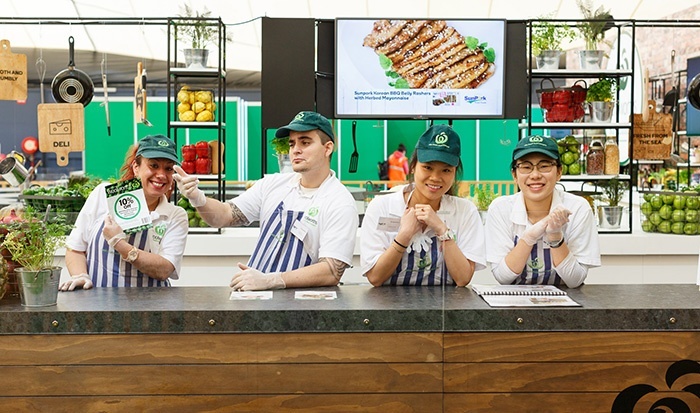 As a leader in Australian fresh food retailing, Woolworths has a large presence at the country’s biggest agricultural shows in Sydney, Brisbane, and Melbourne that run throughout the year. Over the course of three Shows, we’re proud to say we’ve reached more than 1.5 million people and that our experience has brought laughter, cooking knowledge, and of course, good food to hungry show-goers, brought together by over 50 vendors preparing more than 825,000 samples served with a smile by 122 staff. And there's been plenty of good food! 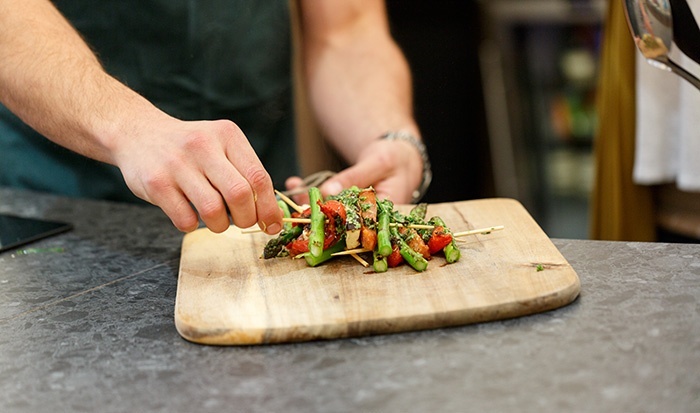 At each show, we’ve heroed the Woolworths Kitchen Theatre, where our chef demonstrated recipes from the Woolworths Fresh Magazine, an in-house magazine designed to inspire consumers with family-friendly recipes and handy hints fovusing on seasonal fresh produce. This means consumers tried their hands at making and tasting treats like apple rose pastries for autumn in Sydney, orecchiette pasta with broccoli pesto for winter in Brisbane, and heavenly asparagus, chorizo and haloumi skewers for this spring in Melbourne (trust us, we’ve personally taste tested them all!). We also immersed the audience with Meet the Grower talks, where our vendors shared how they brought their produce from farm to table. 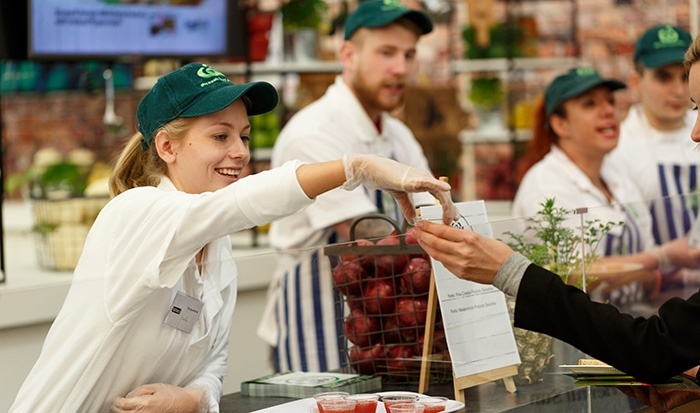 We also appealed to consumers’ five senses in our samples showcase, where visitors learned why they should pick Woolworths as their go-to fresh supermarket. And when they can smell German-style smoked kassler pork chops sizzling on the grill and see fresh beetroot and chickpea salad being prepared in front of them, what better reasons do they need? It’s been a journey across the country, across seasons, and across dozens of tasty morsels of food. 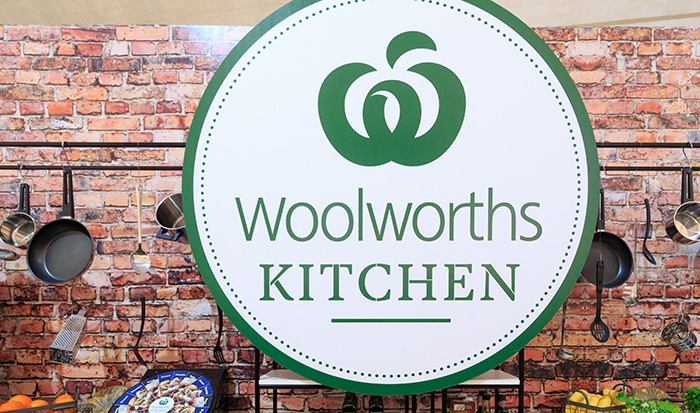 For now, the Woolworths Kitchen bids you adieu – until we’re ready to do it all again in 2017!